Ladies comfortable pull on style trousers with full back waist elastication, soft front pleats with side pockets and a slightly tapered leg. 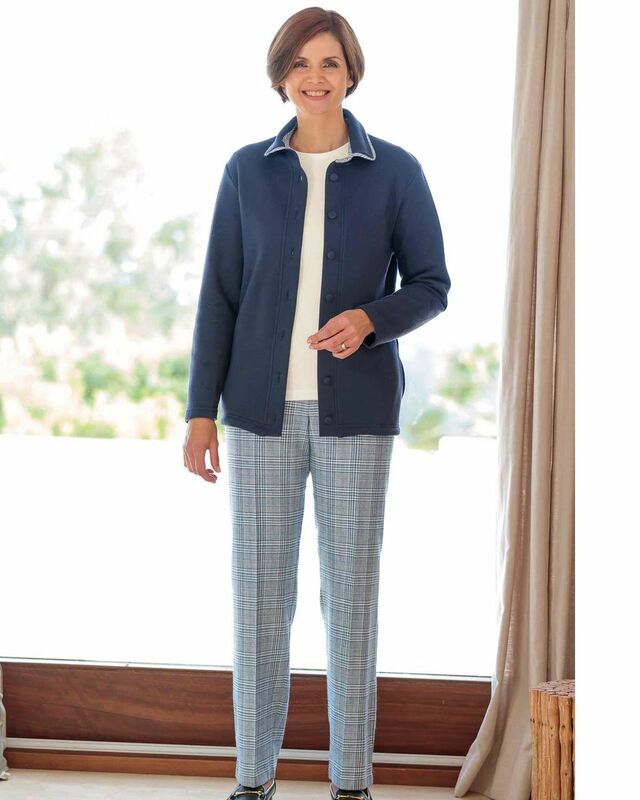 Classic check in tonal shades of navy, ecru and pale blue. Easycare cotton blend fabric. 35% cotton/ 35% viscose/ 15% linen/ 10% acrylic/ 5% other fibres. fleece cardigan with a soft brushed inner. Rounded collar with co-ordinating trim. Side pockets, straight hem and covered buttons. 80% Cotton 20% Polyester. Trousers Available in 2 lengths 28", 30"